Next month, Noel Gallagher’s High Flying Birds headline Calling Festival at London’s Clapham Common. The show, the biggest headline gig he’s played in the UK as a solo artist, takes place on 4 July with a supporting line up which features the likes of Ryan Adams, The Hives and Wolf Alice. It comes off the back of the success of ‘Chasing Yesterday’, his second solo album released earlier this year. NME briefly caught up with Noel to hear about his preparations for the show, his year so far and his plans for new music…. 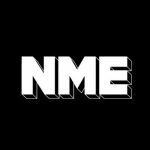 NME: Calling Festival on July 4 will be the biggest UK headline date you’ve played with High Flying Birds to date. What have you got planned? How do you approach writing a set list? How far ahead of a show do you decide what to play? You’ve been performing tracks from ‘Chasing Yesterday’ since the beginning of the year. Now they’ve become setlist regulars, which are your favourites to perform live? Have you dropped any out of the set yet? It’s going to be a big headline festival set – which of the Oasis songs you’ve been featuring in your set will you play? Ryan Adams is on the bill – he’s famously a massive fan of your work, in particular ‘Be Here Now’. Are you looking forward to hanging out? The ‘Chasing Yesterday’ tour has taken you all over the world; to the US, Japan, South Korea and Mexico. What’s the difference between the types of fans you’ve encountered? Do songs go down differently in different places? ‘Chasing Yesterday’ was a UK number one album this year and it’s certified Gold now. You’ve had a few – how do achievements like that make you feel now? Are you already thinking about the next High Flying Birds record? How’s it coming along? Noel Gallagher’s High Flying Birds headline Calling Festival on Saturday 4 July. Tickets are available here. Watch a video of Noel talking about the show below.